The Ambassador of Kazakhstan Anatoly Smirnov underlined that the treaty draft on cooperation in the sphere of oil supplies to Belarus is developed by Belarus and Kazakhstan in its turn simply analyzes it. In this region full of hydro carbons, today the so-called “Caspian rationalism” has become political fashion, which doesn’t favor the extension of geopolitical projects of others in the prejudice of national interests. This concerns not only the suggestions to cut a Belarusian window to Europe, but also other Russian and European plans. Belarus obviously overestimates the significance of its geographic position for the CU partner. For Kazakhstan the European Union is the main export direction. 17 EU states cover about 80% of oil supplies. And although the foreseen growth of oil production can make urgent the diversification of ways of hydrocarbons delivery to Europe, this doesn’t mean that Belarus has any sound advantages in comparison with other states. The Soviet past, which according to Alexander Lukashenko approaches our peoples so much, has left Kazakhstan as heritage the European direction of oil export, condemning this Central Asian state for constant competition with Russia on the one side. And independence from Russian pipeline on the other side. Kazakh government would prefer to minimize the risks of such conflict of interests. However, Belarusian suggestion is only able to aggravate the competition of Kazakh with Russian suppliers. By this it won’t reduce the dependence of Kazakhstan from Russia as a transiting state, as oil shall be delivered to Belarus with Russian pipelines. Understandable is the desire of Belarusians to get access to relatively cheap Caspian oil and use low export fees on raw materials and oil products, but how can Belarus attract its Central-Asian partner? Main ways of transportation of Kazakh oil to Europe are still the pipeline Atyrau-Samara and Caspian Pipeline Consortium (CPC), connecting Kazakhstan with the port of Novorossiysk in the Black Sea. Russia as earlier is interested to preserve control over the flows of Central-Asian hydrocarbons in Western direction, but today Russia has to consider the compensation of growing deficit of its own oil resources. The grand oil pipeline East Siberia – Pacific Ocean (ESPO), the capacity of which can reach 80 million tons in the years to come, has no sufficient resource basis in the East of Russia and inevitably shall demand the attraction of West-Siberia oil, which at the moment is supplied to Europe. 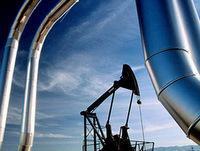 The strategy of Russia is to send Kazakh oil into its export pipelines. In the North of Samara though the Baltic pipeline system to the terminal of Primorsk, and in the South of CPC to Novorossiysk and further to European markets around Turkish straits. For this two pipelines have been designed: Burgas – Alexandroupoli and Samsun - Ceyhan. The prospects of the first one are pretty doubtful due to the line of the new Bulgarian government and the crisis in Greece. Construction of the second oil pipeline connecting Turkish Black Sea port Samsun with Mediterranean Ceyhan can begin already this year. Kazakhstan intends to cooperate closely with Russia further in the sphere of transportation of its oil to European markets through the system of Russian oil pipelines. Till recently, the relations with Russian partner have been alloyed by the block of capacity extension from 30 to 67 million tons of CPC, the private oil pipeline in Russia. Kazakhstan revealed great tolerance within this issue solution and it seems like it has succeeded. On March 18th 2011 during the meeting of V. Putin with N. Nazarbayev the extension of capacity of CPC was announced. Astana shall increase its share in this oil pipeline from 28 to 52 million tons. Naturally Kazakhstan is worried about diversification of ways of its oil delivery to the consumers. It is not limited with only Russian pipelines. Kazakh hydrocarbons flow to China through the oil pipeline Atasu-Alashankou designed in the prospect for the capacity of 20 million tons of raw materials, with swap deals Kazakh oil through Iran goes for further transportation to the terminals in Persian Gulf. Kazakhstan together with Azerbaijan assures the resource basis for a powerful energy corridor Baku-Tbilisi-Ceyhan, designed for the transportation of 70 million tons of Caspian oil to the shore of the Mediterranean Sea. Still the beginning of the operation of the biggest field Kashagan is postponed, Kazakhstan doesn’t suffer from critical deficit of transit resources. But with the occurrence of Big Caspian oil the oil transporting structure shall have to be extended significantly. Despite the possibility of the growth of hydrocarbons export to Asian states with rapidly developing economies, European market remains to be of priority for Kazakhstan. A new strategy of oil sphere development orients not only on raw materials sale but on the establishment of finished cycles from oil production till oil products sale to the consumers. Kazakhstan has undertaken a few attempts to buy oil-processing plants in Europe, but usually the failed. They haven’t managed to purchase assets in the Czech Republic, Italy, Lithuania. Provided the purchase in 2006 of Lithuanian group of companies Mazeikiu Nafta wasn’t blocked by Russia, probably, Belarusian way of Caspian hydrocarbons supplies to Europe would have another prospect. Kazakhstan has learned the lesson and it will be difficult to attract Kazakhstan with the mirage of equal access of the CU to the Russian pipeline. Moreover, Belarus doesn’t suggest its oil processing assets. The absence of interest to the Northern way of oil supplies to Europe is indirectly proven by that Caspian states have ignored the tender on selling the majority interests of the biggest Polish oil processing company “Lotos”. Neither Azerbaijan nor Kazakhstan revealed involvement with the assets, which are the plans of Russian companies, despite that Polish government tried to attract purchasers from this region. Obviously, Kazakhstan as well as Azerbaijan has already defined its oil transporting priorities. Kazakhstani state holding KazMunaiGaz had a success to buy the company Rompetrol in Romania, which should have been the reliable platform to promote Kazakhstani energy resources within European markets. KazMunaiGaz has already invested into the purchase and development of this company almost 5 billion dollars, having become the biggest investor in Romania. Kazakhstani holding has become the owner of not only one the most modern oil processing plants in Europe, that is able to process 5 million tons of oil annually, but also of a number of other oil-chemical manufactures and networks of fuel stations in Romania, Bulgaria, France, Spain, Moldova and other states in the South of Europe. But the most important to comprehend the strategy of development of oil transporting structure of Kazakhstan is the construction at “Petromidia” of a sea oil terminal with the project capacity of 24 million tons annually. The capacity of this terminal is twice higher than all the demands of whole Romania and are oriented on prospect connecting to the Pan-European oil pipeline Constanta – Trieste, through which it is planned to pump from 60 to 90 million tons annually of Caspian and Black Sea region oil from Romania port of Constanta to the oil processing plants in Serbia, Croatia, Slovenia, Italy and further through trans-Alpine oil pipeline TAL to Germany and Austria. Yet this project has plenty of unsolved problems. But chances for success grow, while the clouds cover Russian project – Burgas - Alexandroupoli. And if earlier Russia perceived the oil pipeline Constanta – Trieste as anti-Russian one, then today it doesn’t exclude the joining of Moscow to the Consortium of South-European states within this pipeline construction. On the other bank of the Black Sea Azerbaijan and Kazakhstan with joint efforts establish Kazakhstani Caspian System of Transportation (KCST), that should assure pumping up to 56 million tons annually from the regions of oil production through the Caspian Sea to the terminals in Georgia and following transportation through the Black Sea to Romanian ports. For these purposes KazMunaiGaz has already purchased the Batumi port, and Azerbaijani state company GNKAR bought out another Black Sea port Kulevi from scandalously famous Georgian oligarch Badri Patarkatsishvili. Nursultan Nazarbayev has repeatedly declared about the plans to construct a special oil-pipeline between Caspian and Black Sea for Big Kazakh oil transportation. A special fleet within the Caspian Sea is being established. All these steps of Caspian states prove that in the business of transportation of its hydrocarbons to Europe the strategic choice was made in favor of a southern way. This doesn’t mean that Kazakh oil is not able to come to Belarusian oil processing plants or to transit to Europe through the territory of our states. The way like Azerbaijani raw materials flow to the processing to Belarus, Kazakh hydro carbons can do the same. But there are no reasons to count on big volumes of Kazakh oil. Big oil shall choose another way to Europe.